There is a man behind the curtain who you don’t always see or hear from but trust us when we tell you that Topcoder wouldn’t be Topcoder without him. 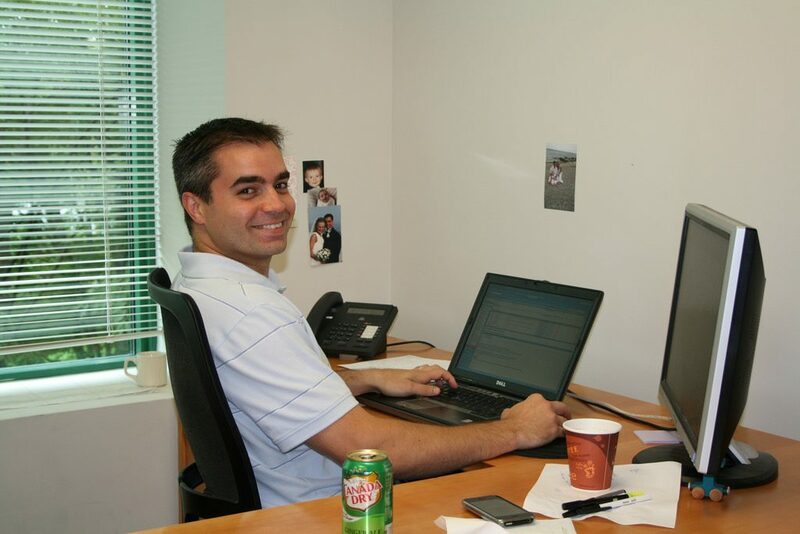 Tony Jefts aka TonyJ has been an integral part of the Topcoder team since 2005! If you ask anyone about Tony, you’ll hear nothing but praise because of course we asked! Please help us celebrate 14 years of having Tony on our team with testimonials from staff and members. Plus I was able to ask him a few questions to hear straight from him about his time at Topcoder. Matt’s rendition of Tony planning to take over the world. JDF: 14 years! I feel ya! Out of all the staff, the two of us have the longest consecutive tenure with Topcoder. In our industry, it is not common to stay at one company for very long so what has kept you at Topcoder all this time? TJ: Is this your nice way of telling me I’m getting old? It’s become a bit of an addiction to be honest. I’m not sure I could point at one specific thing as the reason. There are definitely many. I’ve always liked solving puzzles and building things. For me, Topcoder is constantly presenting me challenging puzzles and problems, which in turn presents opportunities to build things. I also can’t ignore that fact that Topcoder really is like a family. That holds true for the many passionate people that have been part of the evolution of Topcoder over the years as well as the connections and bonds that develop with the community and our network of customers. Topcoder has truly opened my eyes to the real meaning of “community” and how rewarding it is to be part of such a great one. The one who knows about everything at Topcoder. Put a question to him and he has an answer. He is the dictionary of code, policies, databases, tables etc at Topcoder. In other words his brain is like a machine with the quickest and most sorted response in record time. “One recent memory of him – at TCO18 he didn’t move an inch off his machine making sure the Dev competition goes perfectly well. Dedication! JDF: What keeps you excited about Topcoder and the things you do every day? TJ: The fact that I know we’ve come so far, yet the biggest opportunities and excitement are still in front of us. 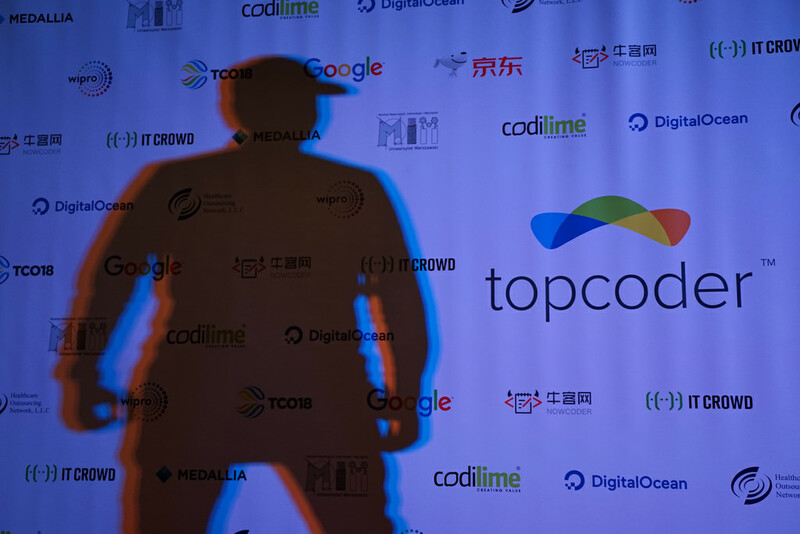 Topcoder has become more than just a crowdsourcing company for me. It’s a new way of thinking and operating in the world. Every day we see the world changing and embracing new ways of working, interacting with each other, and contributing to the value chain. Topcoder has been in the middle of that story since its inception and, for me, it hasn’t grown old. 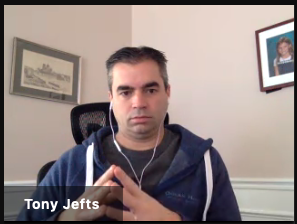 To say that Tony Jefts (aka TonyJ) is one of the core pillars of Topcoder, would be an understatement. Keeping a platform up and running & scaling it up with 1M+ members, several high-profile customers and hundreds of projects is no easy task but Tony has been doing it effectively for years. It is also probably what is the toughest job at Topcoder – he doesn’t always get enough credit when things are going well but is always in the firing line when a glitch occurs. I’ve had the good fortune of working closely with him in multiple projects and he’s thoroughly a joy to work with – polite, professional and to the point. I wish to thank Tony for the 14 years of remarkable service on behalf of Topcoder community and I’m sure he’ll continue to be the guiding light for many more years to come! Good luck Tony & thank you for all you do! JDF: Share with everyone your favorite memory from Topcoder so far. TJ: For me it’s a little like Ground Hogs Day where my favorite memory keeps repeating itself, in a good way. Everytime I see someone’s eyes light up when they realize just how powerful the crowd is and it changes their world, I get completely energized. 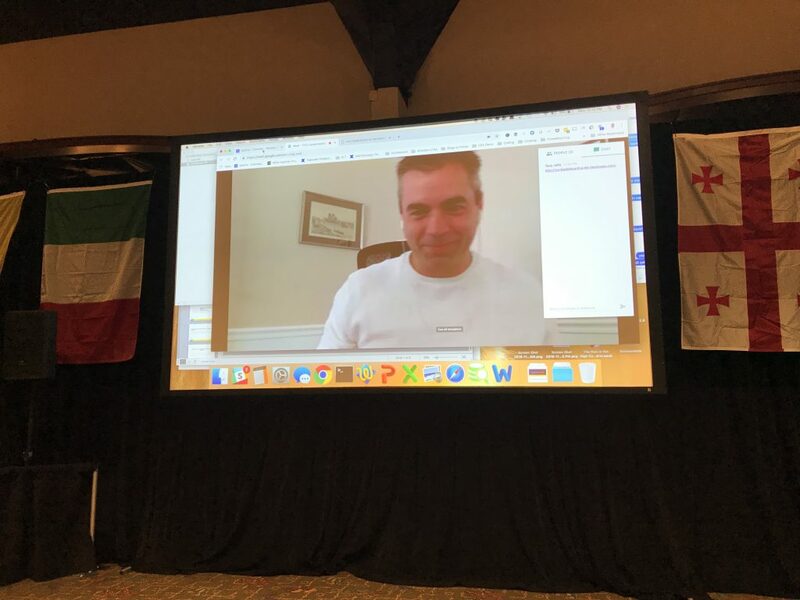 When you aren’t at TCO set up but we still need Tony, he’s there on the big screen no matter the time of day! JDF: What is one of the most difficult hurdles you’ve ever had to cross in your career at Topcoder and what helped pave the way? TJ: There was a time back in 2010’ish where copilots changed my life. Before copilots, TC staff would run all of the challenges for their projects. We had made good strides in engaging the community in development and design work, but still had a lot of project management overhead per project and it seemed like I was under a pile of ever growing work to get done with no end in sight. That meant sleep was in short supply. As many inventions and innovations come out of necessity, I guess you could say that copilots, at least partly, where invented out of the necessity for me to sleep…especially since I had a 1 year old that had his own ideas of a sleep schedule and twins on the way at the time. That is just one example of many such situations that I can remember where we went “aha!”, and launched into the next stage of learning and experiencing the power of community and that we were only scratching the surface of innovation. That curiosity to say “What would happen if we let the community…?” is a current theme and guiding light that I continuously come back to. JDF: What is the greatest thing you’ve learned in the past 14 years with the help of Topcoder? TJ: Be relentlessly curious and not afraid to experiment (and fail) in order to reach your goals. JDF: What is your goal for the next few years and beyond at Topcoder? TJ: I’m excited about the growth we’re seeing and the pressure it puts on us to make sure we can scale with it. For me in particular, that means more opportunities to challenge ourselves and experiment. The platform needs to be in a position to keep up with that growth, which in turn means I need to think more about making our community experience the best it can be. We’re looking at a renewed focus on things like ratings, incentive systems and new ways of engaging the community that are pretty exciting. My first email from Tony was 13 years ago – he was asking if I wanted to work on a project porting an application from Palm to PocketPC. Since that first email 13 years ago, I’ve personally pestered Tony with hundreds (possibly thousands) of bug reports and platform based requests. He’s always been there to help out and investigate issues, let me know when fixes are in place, and kept me apprised of new platform features. For the memberbase, Tony has always put us first, ensuring that requests are listened to and handled, releases are planned and communicated to us, and made us all feel like we have a say in the direct of Topcoder in general. Without Tony’s constant presence and watchful eye, Topcoder would be a much different place than it is today! JDF: Topcoder is growing every day, adding more and more staff and members. What is one piece of advice you can share with new Topcoder employees and what advice for new members? TJ: Crowdsourcing, and particularly Topcoder’s flavor of it, will change the way you look at the world and the way you see all of us participating in it. Don’t be afraid to embrace it and equally to challenge it to always be better. You’re onboard for an exciting and fulfilling journey. Thanks Tony for taking time to answer some questions and thanks to all of those that reached out with such kind words. We wouldn’t be Topcoder without our members and our amazing crew so thank you Tony for helping us build this amazing place we call community and family. Tony is a born leader and a sensitive human being. I can’t thank enough his guidance and advice. It’s remarkable to mention he has helped me in the midst of the most embarrassing situations a copilot could ever face, no judgement, just helped. I once said it, one of the most humble and smooth guys I’ve ever met. His temper is so calm even in the most difficult situations, I think they call that equanimity if I’m not wrong. 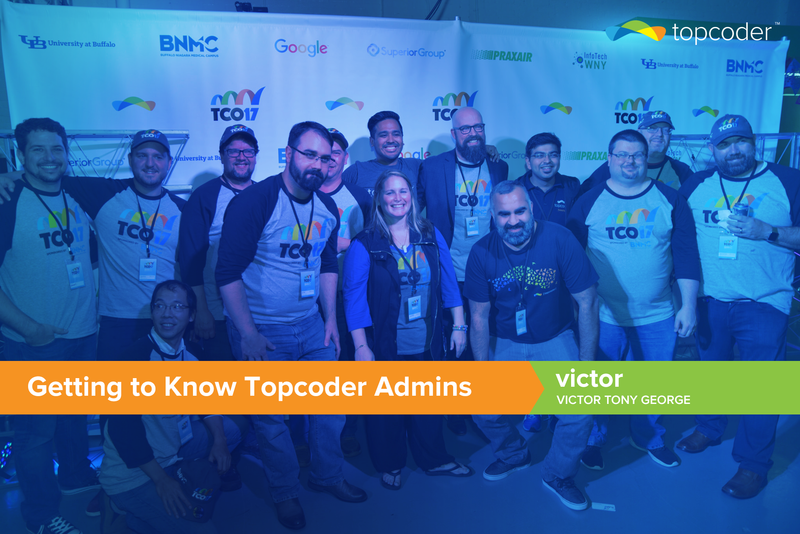 Getting to know Topcoder Admins: Meet victor – Victor George! Getting to know Topcoder Admins: Meet tgerring – Trevor Gerring!